Exposure is being looked into as a possible cause of 13 deaths in Saskatchewan since Nov. 1, according to the province's coroners service. Alcohol and drugs have been ruled out as contributing causes in at least five of the deaths. The Saskatchewan Coroners Service says it is investigating 13 deaths in the province that have occurred since November 1 in which exposure is a possible cause. The coroners service stressed that none of these cases have been closed and that the final number may change pending completion of its investigations. Based on preliminary data it has gathered, which it said may exclude additional deaths, there were 14 suspected deaths in Saskatchewan due to exposure in all of 2017-18 — and 16 deaths the previous year. As recently as 2012-13, there were 20 reported deaths from exposure or hypothermia. Exposure is believed to have caused 23 deaths in 2010-11. In 10 of the 11 years prior to the current year in which the province has data, drugs or alcohol were a contributing factor in a majority of the deaths. A coroners service spokesperson said it was still awaiting toxicology reports on eight of the 13 deaths this year, but results in the other five cases indicated drugs and alcohol were not contributing factors. She said eight of the deaths were in rural locations, while five were in urban settings. If the number holds. it would mark the fourth year in the last five where suspected exposure deaths in the province's urban areas numbered five or less. The average in the previous five years was nine deaths in urban areas. Two years saw 13 deaths. 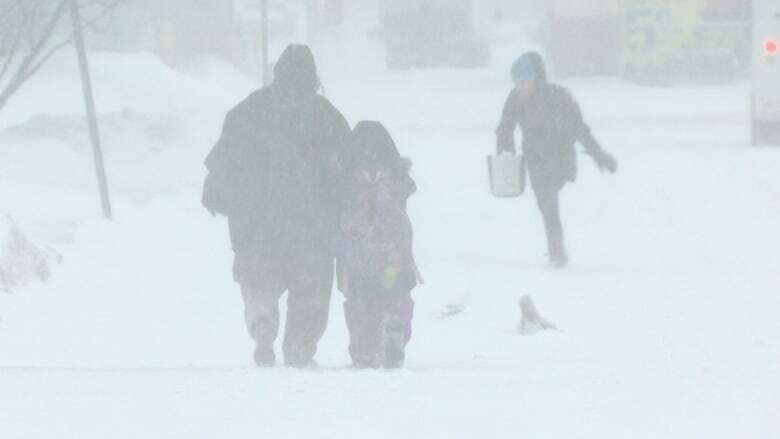 Meanwhile, the Saskatchewan Health Authority reported 18 people were treated in Regina emergency rooms for cold weather injuries such as frostbite and hypothermia this past February, the same number as last year. In Saskatoon, the figure jumped from 12 cases in February 2018 to 22 cases this past February. Inter-agency cold weather strategies have been in place in Saskatoon since 2012-13 and in Regina since 2013-14 to ensure everyone has a safe place to sleep on cold nights. Dr. Johnmark Opondo, a medical health officer with the SHA, said the cold weather injuries last month might be explained by the unusually cold conditions , but he said he thought the strategies were making a difference. "In the absence of having a cold weather strategy in Saskatoon — for example, where there are heating centres that are opened up and there's free transportation for people to move to one place to the other — you know, the numbers might even be higher than this," he said. But Opondo also said the cold weather injury data from February "deserves a deeper dive." "And in chatting with some of my counterparts at the city [emergency management organization], there's real interest in knowing, for example, who are these 22 people who presented with a weather-related injury and really doing a much stronger analysis," he said. He said vulnerable populations include the homeless, people with addictions and the elderly. "Because it isn't unusual, you might find somebody with a walker or someone who was trying to go shopping, for example, and they sort of got caught outside try to make their way home," he said. Opondo said that's why they've been doing general messaging to the public of being aware of their neighbours and their environment. The assistant deputy director at Mobile Crisis Services in Regina, Jan Thorson, said she thinks they've seen an increase in the public's awareness. "And I think that has a lot to do with social media," she said. "You know, all of the agencies in the city are on Twitter and Facebook and often put out calls." "For example, we put out a call recently for warm winter clothing and we got an overwhelming response from the community." Thorson said she thought Regina's cold weather strategy was going well, and that it was due in part to her agency being open 24 hours a day, seven days a week. "So there's always a point of entry for a client if they're experiencing difficulties with housing," she said. "They can come and contact us by walk-in, telephone text message, day or night, and we'll make arrangements to make sure that they have a place to stay."